Switch case open showing pro controller, base station, power, etc. Tags *MUST* be NTAG215! Not 213, not 216, only NTAG215 will work. 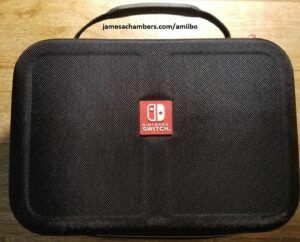 Any other type of tag will immediately be rejected by the Switch or a 3DS. NFC capable Android phone – The Samsung Galaxy S8 was used for this article but there are many Android phones that support NFC. Check Google to see if your Android phone supports NFC. iPhones and iPads will not work at this time because Apple has disabled the NFC chip for everything except ApplePay. This is an excellent solution for making backups of your figures because they are extremely durable and portable. They fit nicely in her carrying bag and allow her to leave her amiibo figures safely at home. 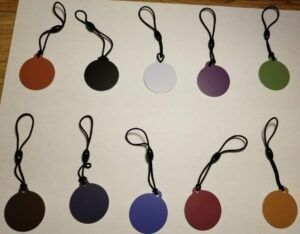 The tags featured above are tough plastic that can be written on with a sharpie to label which amiibo is backed up on it. They also can easily be attached to anything. I recommend a spare keychain as it keeps them all neatly together. They can also easily be put into a safe to protect against fire or theft. The best software I have found for writing amiibo backups to NTAG215 chips is called TagMo. This software is not available in the Google Play store at this time but it is still very easy to install. Step 1: Go to your Android applications menu and choose the Settings app. Now scroll down to “Lock Screen and Security”. Scroll down to the security section and enable “Unknown Sources”. This will allow you to install applications from outside the Google Play store. This step can vary slightly by phone, so if you are having trouble finding this setting then google how to enable packages from unknown sources on your Android model. Step 2: Download TagMo from your phone’s browser. The latest TagMo is located on GitHub at https://github.com/HiddenRambler/TagMo/releases. Download the latest TagMo.apk file. Once the download completes open it and choose to install. Step 5: At this point your amiibo has been detected and you can actually click “Save Tag” and save a copy of your amiibo to your phone. You can also restore this backup to your amiibo at any time. If you just want a file backup of your amiibo you can stop here. However, if we want to write our amiibo to one of our cool PVC tags, there are a couple more steps we need to do first. Step 6: At the top of the screen you will see 2 lines in red text that say “No unfixed key” and “No locked key”. We will need to resolve this to be able to back up our amiibo to another tag. We will need to download 2 more files to our phone that will allow us to back up amiibos. Note: I do not host these files and can’t guarantee they will stay around. I have no idea who uploaded them. All I know is that someone much smarter than me figured out these keys and shared them which allow us to back up our amiibos to other tags. If the downloads don’t work you will need to locate them yourself using Google. Step 8: Notice that every button in TagMo is now lit up. You are ready to back up your amiibo to a NTAG215. Choose the “WRITE TAG (AUTO)” option. It will ask you to hold up your NTAG215 and will back up the amiibo to the tag. That is it! 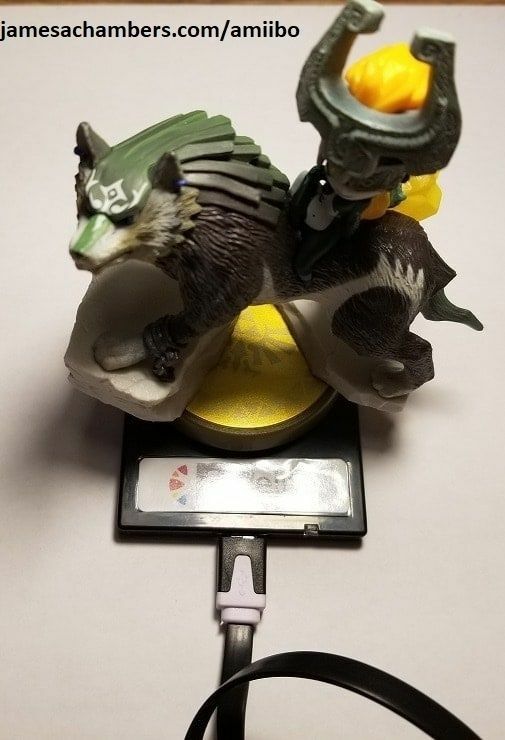 You have now created a backup tag of your amiibo for safe keeping. You may now test it by holding it over your Switch or 3DS reader and it will read identically to your normal amiibo. You can repeat this process for as many amiibos and tags as you have and create a full set of backups. This is the gold standard for backing up amiibos. The chip is so popular now that it has become very difficult to find. With this chip you can use either a PC/Mac/Android to back up all of your amiibos into one chip. A single N2 Elite chip can hold up to *200* amiibos. But the best part about this chip is that it is re-writable. That means if you are for example leveling up Wolf Link you are able to save your progress to this chip. Solution A tags are not re-writable so if you made progress with an amiibo that wasn’t maxed out you would need to use a new chip. You can switch amiibos using the little button on the bottom of the chip or by using the Android app. If you don’t have a NFC capable Android phone you definitely will want to get the USB reader/writer combo otherwise you will have no way to load your amiibos. At the time of writing the chip costs $90 for the version without the USB reader (highly recommended for those of you with a NFC capable Android phone). It costs $120 for the version that includes the USB Reader/Writer (if you don’t have a NFC enabled Android phone you need this version). Step 5: Click the “Dump” button to save your amiibo to your phone. You should get a “dumped successfully” message and your backup has been created. WARNING: I do not recommend using the lock/unlock buttons at all. 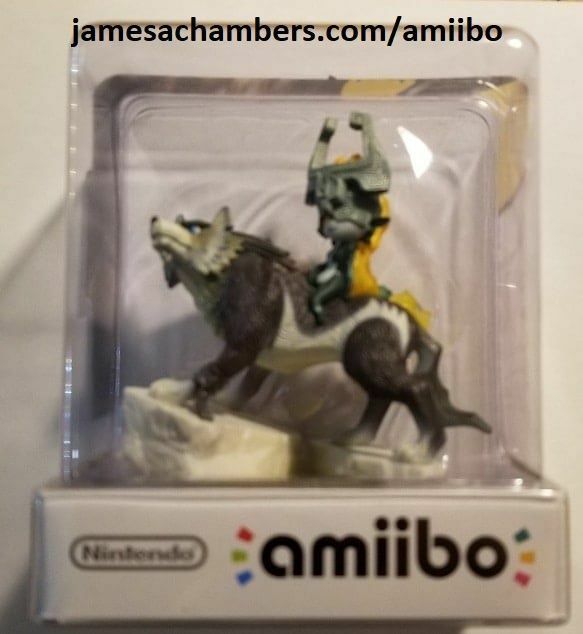 Leave your original amiibos the way they are. Do not attempt to unlock them. Do not attempt to write to them. If you mess with them you could corrupt them making them useless. Let’s leave the writing for the N2 chip where if we make mistakes we can just try again. Step 7: The N2 chip has now been read. Go ahead and click “Manage Banks”. You will see the available bank slots on the N2. Choose one of the slots and hold press on it and a menu will pop up. Choose “Select an amiibo”. Navigate to your saved amiibo from Step 5. The Windows/Mac application is pretty awful but it does get the job done. Here is how it is used step by step. 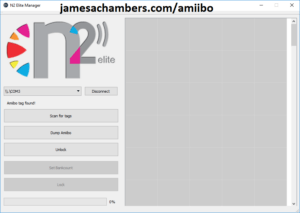 Step#7: Hit “Dump amiibo” and it will bring up a dialog to save your amiibo data as a .bin file. You can save this wherever you want. 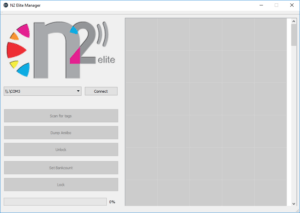 We will be using it to load the backup on to the N2 Elite chip in the next steps so make sure to put it somewhere that you know where it is. Step#9: As you can see we can see our different slots we have to load our amiibo backups into. By default there are usually 5-10 slots enabled but I recommend changing this setting first. 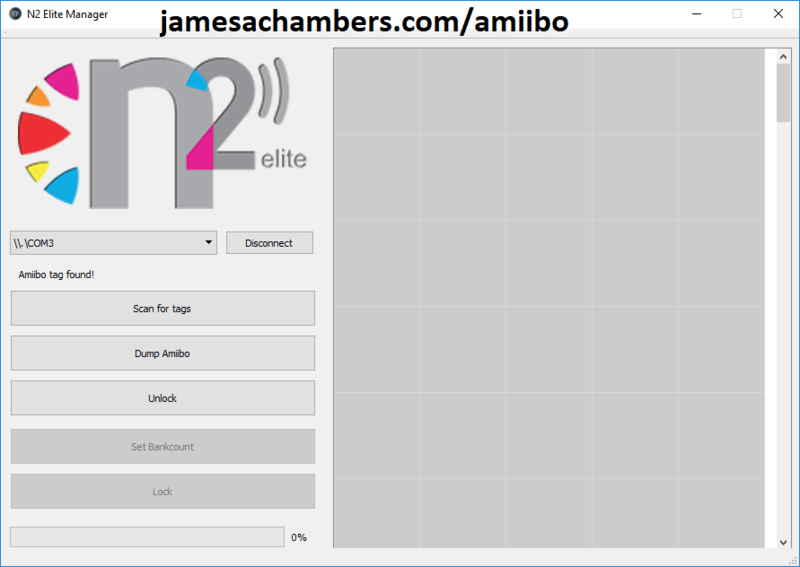 Click the “Set Bankcount” button and enter the number of amiibo you plan to back up. This can be extended later and can go up to 200 amiibos. I recommend setting it to exactly the amount you have because each time you press the button on the chip it will cycle to the next amiibo. This means if you set it to 200 and only have 4 amiibos on it cycling the chip is going to be extremely annoying. Set it to the amount of amiibos you have so that when you press the button it cycles through correctly. Step#10: Double click one of the empty slots in the bank grid on the right. It will bring up a dialog asking you for your .bin file. 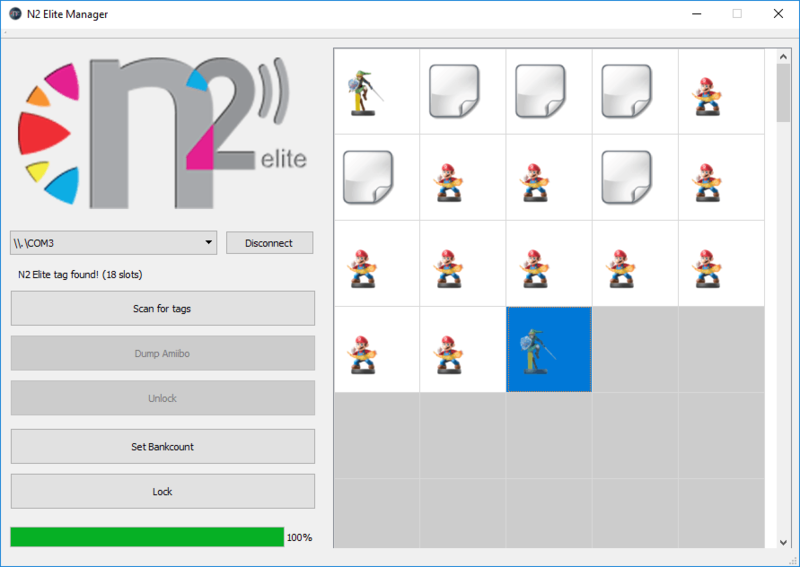 Navigate to where you saved your amiibo backup and select the file. 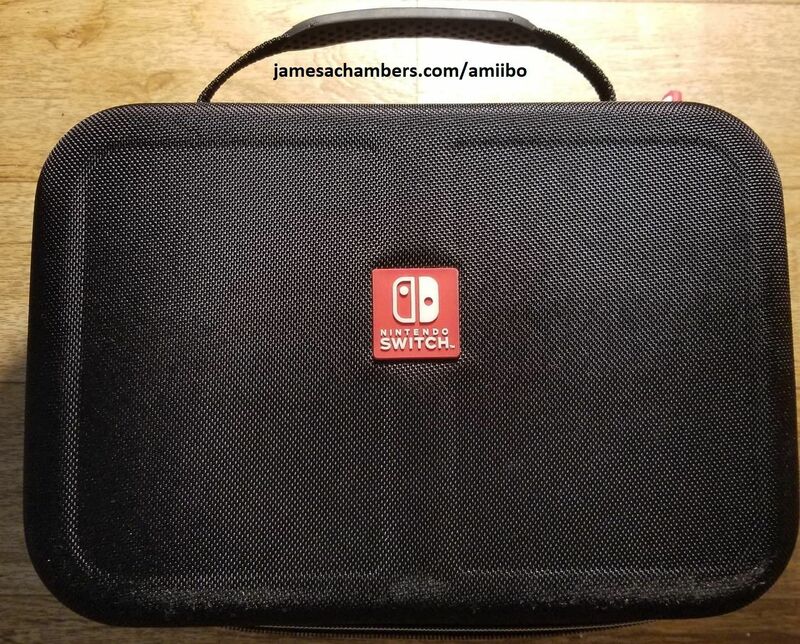 Your amiibo backup will immediately be uploaded into that slot. The icon will probably be wrong or missing. Notice that my Wolf Link amiibo showed up in the N2 Manager as the Smash Brothers Link icon. This is because the Windows/Mac software is very cruddy like I mentioned earlier. Don’t worry about it, your amiibo is now on there and is ready to test! That is it! 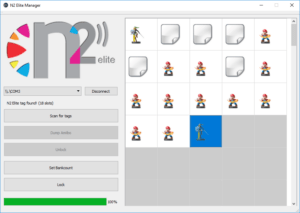 You have now learned how to backup your amiibo onto the N2 Elite chip. Go ahead and take the chip to your Switch/3DS and test it to make sure it works. If everything looks good you can continue to back up the rest of your amiibo collection using the same steps. 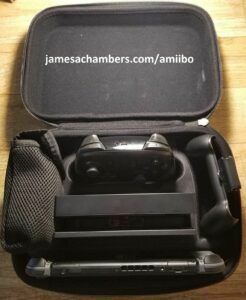 Just use a different slot for each amiibo and if you run out of slots use the “Set Bankcount” button to expand your storage up to 200 amiibos. Thanks for the article. I am looking for a third option, i.e. writing Amiibo NTAG215s on a Mac. Is that even possible? It’s absolutely possible. If you go to N2’s web site they have a download for the Mac software. You will need the USB reader/writer to do it but it can be done pretty much the same way as outlined in this article!